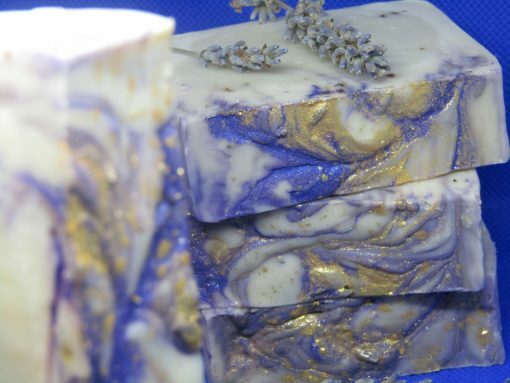 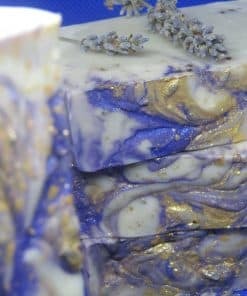 with ingredients as the Essential Oils, Lavender Buds, Coconut Milk, and Lavender FO This soap is strongly scented. 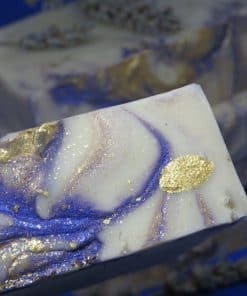 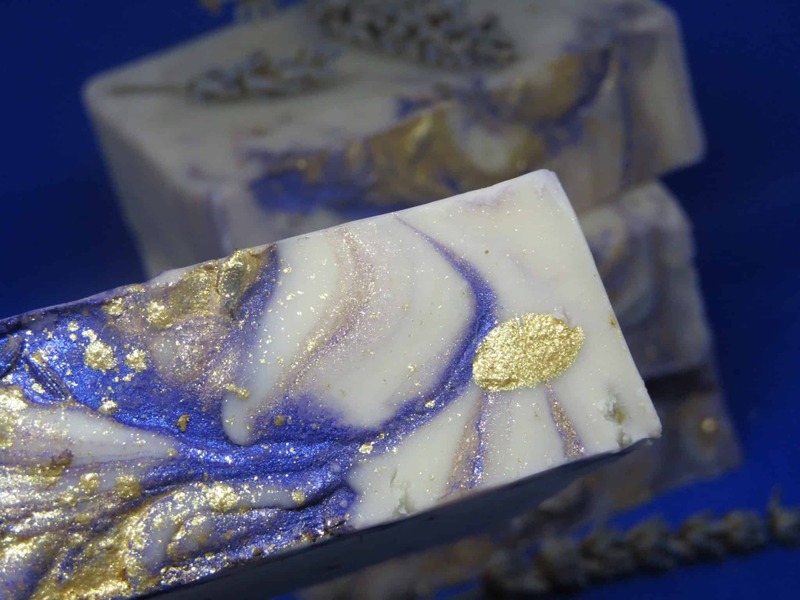 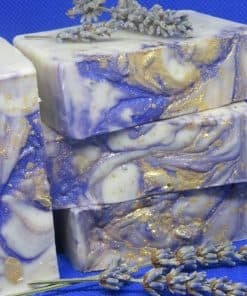 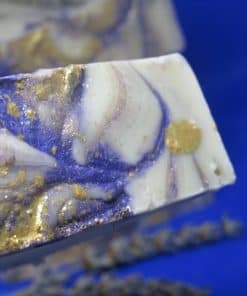 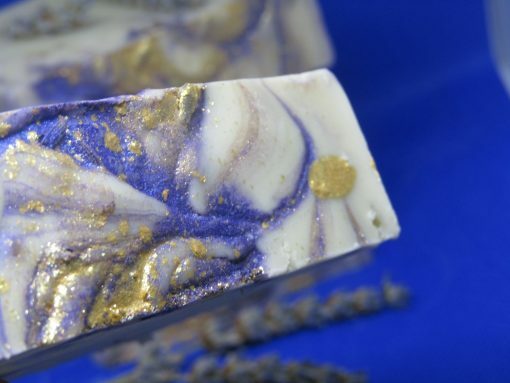 , the combination of golden and purple mica makes these bars look majestic! 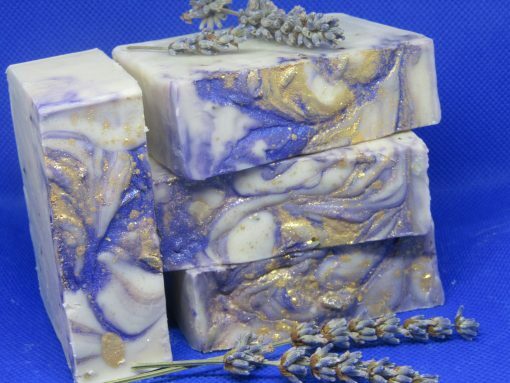 Our lavender was harvested in Co. Carlow during the summer months..